A few weeks ago J-Mo and I spent a wonderful evening in the canyon with friends, and instead of the typical ground beef-carrots-potato dinner, I decided to go out on a limb and try something completely out of my comfort zone. I am thrilled to report that this recipe will make it into my regular camping rotation. So easy, sooooo delicious. The trickiest thing about cooking over an open fire is, well, cooking over an open fire. There are no ways to really gauge temperature and you can’t just flip on the oven light to see how your dinner is coming along. However, build your fire and the let it burn for a good 30-45 minutes, you want some white-hot coals and a few licks of fire on your logs, not a pile of flames. These cooked on flames and it was a little bit less than ideal, it cooks much hotter and much faster than coals, but also less evenly. Do as I say, not as I do. Husk your corn and pick the hairy thread things off (don’t burn the husks, they are too wet and will smoke you out of your campsite). 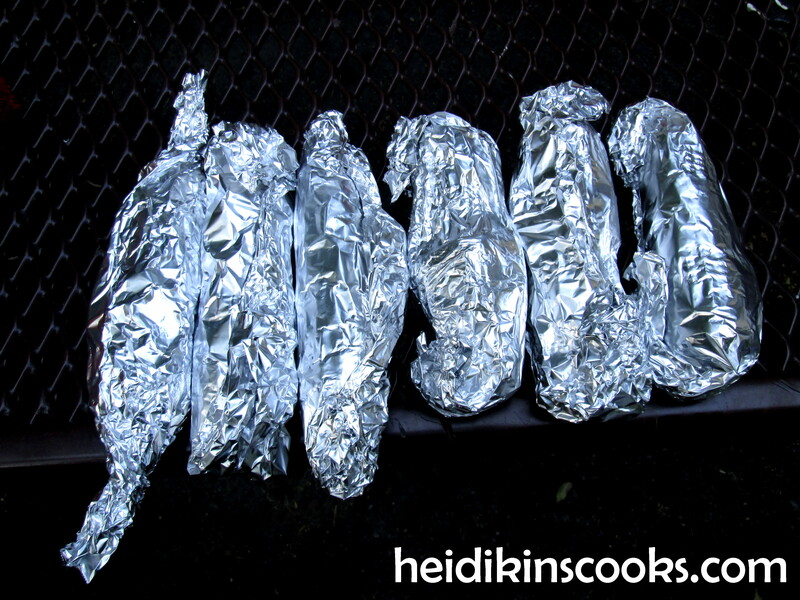 For each ear you want to slather it with some butter, salt and pepper, add an ice-cube to each square of foil and then roll it “tootsie-roll” style twisting off the ends. The ice will melt and help “steam” your kernels, I was surprised at how much of a difference this made. (I put a handful of cubes into a ziploc bag and brought them in our cooler.) When your coals are ready, pop these babies right on top and let them cook for about 20-25 minutes, turning over occasionally. 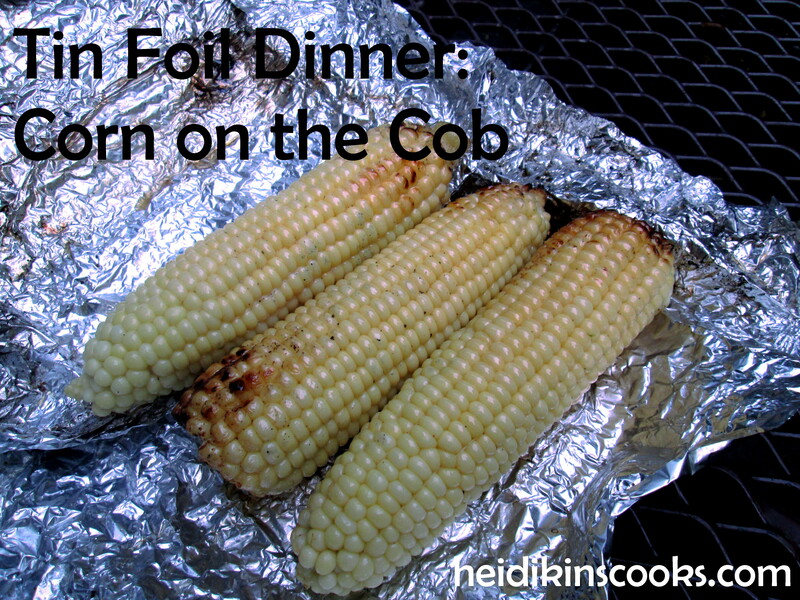 You want that fine balance between corn that is no longer raw, but not yet charred. However, the little roasted bits are so delicious, so don’t pull them off too soon. Add some more salt and pepper, hot sauce, rosemary, or mayo and lime, and enjoy! ← Setting the Table for a Fiesta!